Anyone who’s tried to lose weight through sheer will power knows how difficult, if not impossible, it can be. In this practical and paradigm-shifting book, Dr. Jean Kristeller presents a new alternative--a program for weight loss based on her successful Mindfulness-Based Eating Awareness Training Program. Instead of frustration, depravation, backsliding, guilt, and a lack of results, The Joy of Half a Cookie provides simple, proven ways to lose weight and keep it off, using what we now know about the power of the mind.The first book to bring mindfulness to the dieting space in a truly accessible and mainstream way, The Joy of Half a Cookie will show readers how to lose weight while:ditching willpower, guilt, and cravingsloving every bite, including favorite and previously “forbidden” foodstapping into the body’s satiety signalsWritten for anyone who wants to lose weight – not just the mediation and yoga crowd – this accessible book delivers a proven way to find peace of mind and a healthier relationship with food, for life. 9780399172151 | J P Tarcher, December 29, 2015, cover price $24.95 | About this edition: Anyone who’s tried to lose weight through sheer will power knows how difficult, if not impossible, it can be. 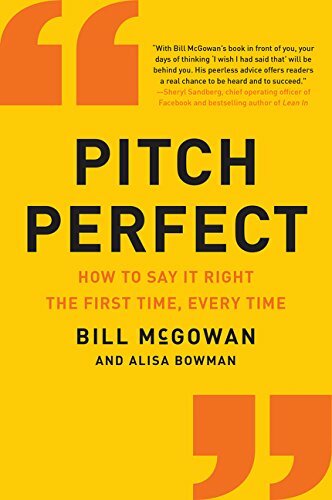 9780062472939 | Harperbusiness, September 13, 2016, cover price $14.99 | also contains Pitch Perfect: How to Say It Right the First Time, Every Time | About this edition: During the pivotal moments of our lives, results are often determined not only by our actions but also by our words. 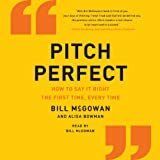 9780062390653 | Reprint edition (Harperbusiness, January 6, 2015), cover price $14.99 | also contains Pitch Perfect: How to Say It Right the First Time, Every Time | About this edition: Media guru and Emmy Award-winning correspondent Bill McGowan—coach to some of the biggest names in business and entertainment, including Eli Manning, Kelly Clarkson, Jack Welch, Thomas Keller and Kenneth Cole teaches you how to get your message across and get what you want with pitch perfect communication. 9780553560343, titled "The Way of the Priests" | Reprint edition (Bantam Books, July 1, 1994), cover price $4.99 | also contains The Way of the Priests | About this edition: In America prior to European settlement, the Cherokee people look to their priests to rescue them from famine, drought, and death, but the priests are only interested in preserving their own power, in a story based on Cherokee legend. 9781483003047 | Unabridged edition (Blackstone Audio Inc, April 1, 2014), cover price $39.99 | About this edition: [*Read by the author - Bill McGowan]Emmy Award-winning correspondent Bill McGowan --coach to some of the biggest names in business and entertainment-- teaches you how to get your message across and get what you want with pitch perfect communication. 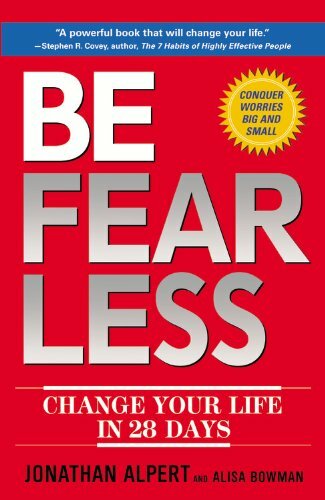 5 pasos para cambiar tu vida de forma efectiva / Be fearless: Â¡di AdiÃ³s Al Miedo Y a La Ansiedad! 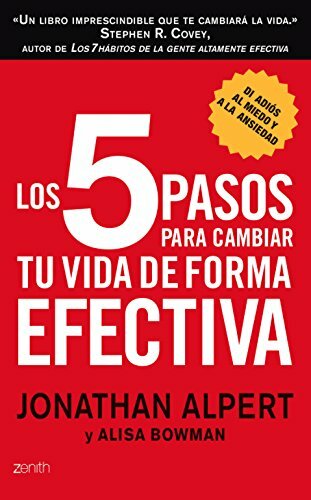 9781681651392, titled "Los 5 pasos para cambiar tu vida de forma efectiva / Be fearless: Di AdiÃ³s al miedo y a la Ansiedad!" | Planeta, January 5, 2016, cover price $18.95 | About this edition: Â¿CuÃ¡nto tiempo hace que deseas cambiar tu vida? 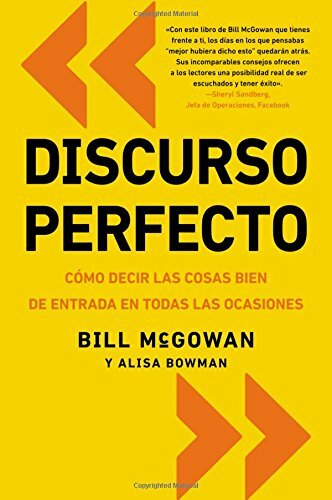 9780829701937, titled "Discurso perfecto / Pitch Perfect: CÃ³mo decir las cosas bien de entrada en todas las ocasiones" | Harpercollins Christian Pub, August 25, 2015, cover price $17.99 | About this edition: Decir lo correcto de la manera correcta puede hacer la diferencia entre sellar el acuerdo o la pérdida de la cuenta, obtener un ascenso, o conseguir una carta de despido. 9786070714719 | Planeta Pub Corp, February 5, 2013, cover price $18.95 | About this edition: Ha llegado el momento de cambiar tu vida. 9780452298521 | Reprint edition (Plume, September 25, 2012), cover price $16.00 | About this edition: Fear can't help you in a dangerous situation. 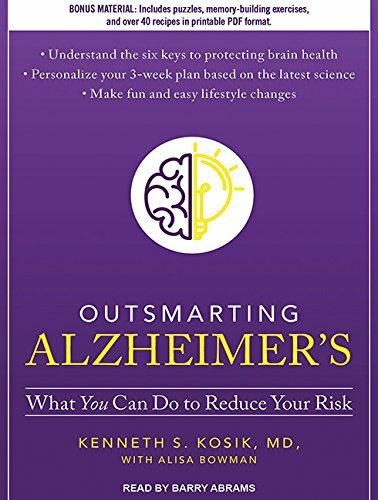 9781609618469 | 1 edition (Rodale Pr, September 4, 2012), cover price $25.99 | About this edition: A 4-week plan backed by the latest science that unlocks the key to melting fat for good. 9781455513413 | Center st, April 24, 2012, cover price $24.99 | About this edition: Most people have something that gnaws at them at night, a mess or unrealized dream somewhere in their lives that causes them to feel stuck, out of control, overwhelmed, incomplete, and dissatisfied. 9781455513406 | Center st, January 1, 2014, cover price $16.00 | About this edition: Most people have something that gnaws at them at night, a mess or unrealized dream somewhere in their lives that causes them to feel stuck, out of control, overwhelmed, incomplete, and dissatisfied. 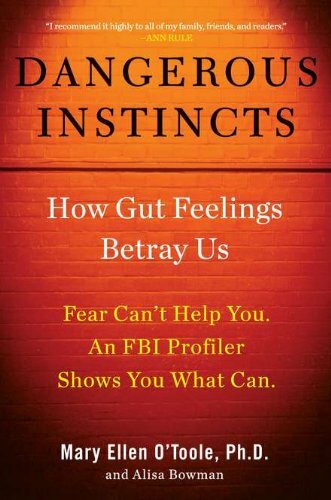 9781444738513 | Hodder & Stoughton, April 26, 2012, cover price $21.75 | About this edition: Psychotherapist Jonathan Alpert wants readers to know one thing: you can face your fear and create your ultimate life - and you can do it quickly. 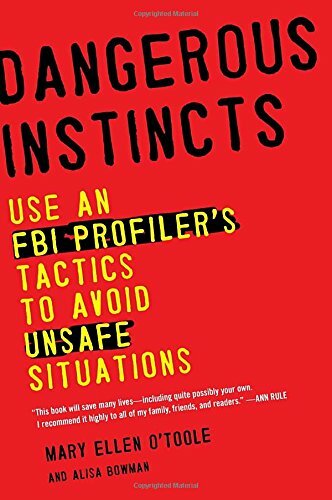 9781594630835 | 1 edition (Hudson st Pr, October 13, 2011), cover price $25.95 | About this edition: Fear can't help you in a dangerous situation. 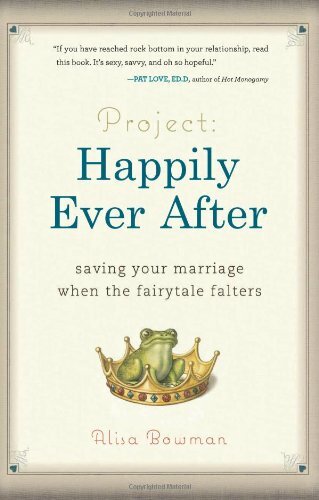 9780762439010 | 1 edition (Running Pr Book Pub, December 28, 2010), cover price $22.95 | About this edition: What do you do when your marriage is so unhappy that you begin to fantasize about your husbandâs funeral? 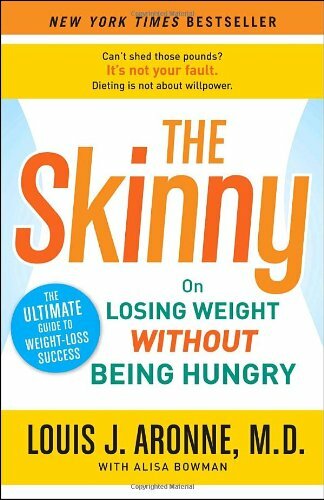 9780767930406, titled "The Skinny: On Losing Weight Without Being Hungry-the Ultimate Guide to Weight Loss Success" | 1 reprint edition (Harmony Books, March 30, 2010), cover price $13.99 | also contains The Skinny: On Losing Weight Without Being Hungry-the Ultimate Guide to Weight Loss Success | About this edition: Tried diet after diet and still canât lose weight? 9780767930390 | 1 edition (Crown Pub, March 24, 2009), cover price $24.95 | About this edition: Tried diet after diet and still canât lose weight? 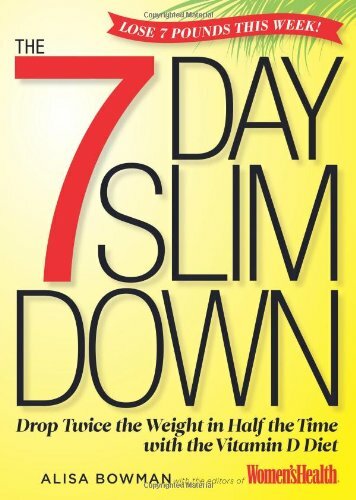 9780767930406 | 1 reprint edition (Harmony Books, March 30, 2010), cover price $13.99 | also contains The Skinny: On Losing Weight Without Being Hungry- the Ultimate Guide to Weight Loss Success | About this edition: Tried diet after diet and still canât lose weight? 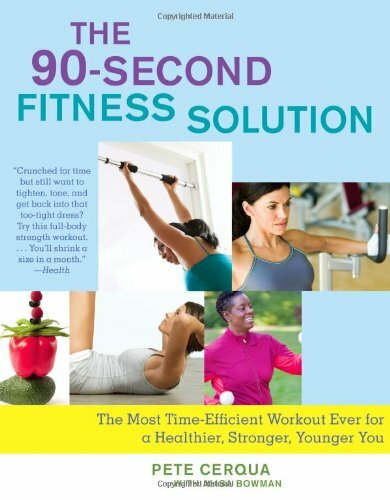 9781416566489 | 1 edition (Atria Books, December 30, 2008), cover price $25.00 | About this edition: How little do you have to do to firm up, lose fat, strengthen bones, improve mood, and boost energy? 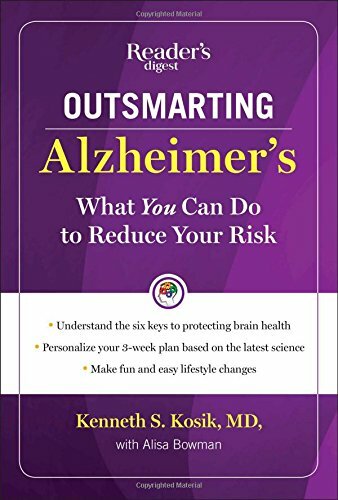 9781416566519 | 1 edition (Atria Books, December 22, 2009), cover price $16.00 | About this edition: How little do you have to do to firm up, lose fat, strengthen bones, improve mood, and boost energy? A leading dermatologist presents a science-based program for achieving beautiful skin and promoting overall health that integrates nutrients from fresh plant foods, the latest skin care technologies, and a prescription for health-giving fun. 9780307382368 | 1 edition (Crown Pub, September 11, 2007), cover price $22.95 | About this edition: A leading dermatologist presents a science-based program for achieving beautiful skin and promoting overall health that integrates nutrients from fresh plant foods, the latest skin care technologies, and a prescription for health-giving fun.